Students often approach learning about plants and flowers with exuberant energy. By using a variety of teaching techniques, you can help youngsters explore the world of botany. Lesson plans offer plentiful opportunities for traditional instruction. Add other teaching methods such as games, experiments, activities, and outdoor excursions to spark interest and curiosity in the plant and flower world. Many people agree that flowers are pleasing to the senses with their vibrant colors and enticing scents. Delve into some finer details of flowers to help children learn about basics such as flower anatomy, their life cycle, and how pollination occurs. Part of the instruction process can even include hands-on activities such as growing flowers from seeds, either indoors or outdoors. Children often enjoy any opportunity to dig in the dirt, and they also learn effectively by participating in activities that allow them to see and experience the subject matter. Lesson plans for students can introduce basic concepts about flowers. For example, flowers are the most eye-catching part of a plant, but every plant also has other parts, such as stems, leaves, and roots. Engaging lesson plans can help you explain these concepts to students. Instruction can also include information about plant reproduction, the life cycle, and soil properties. Active learning involves captivating games and activities that will appeal to the natural curiosity of children. Some games are available online, enabling children to visit websites to participate in entertaining games that teach botany concepts. You can also plan other types of activities for a class to help the youngsters learn about flowers. From planting a flower garden to making compost in the classroom, get kids actively involved with gardening to teach memorable lessons. Craft ideas and printable activities are another effective teaching strategy. Kids can use real flower petals to make a delightful potpourri. Coloring pictures of flowers helps children learn about different parts of the plants. With bright tissue paper in various colors, you can oversee a flower-making craft project. Not only are plants pleasing to the eye and the nose, but they serve an important environmental purpose by providing oxygen. Many plants are also important sources of food. Some plants even have medicinal properties. Explore the diverse world of plants and botany with students. 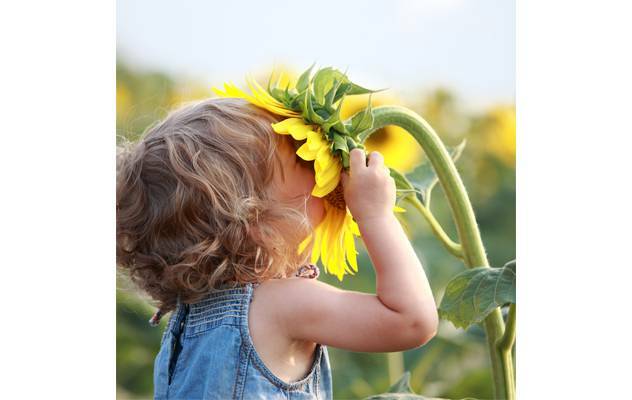 Children can learn about how humans and animals rely on plants for both food and oxygen. With lesson plans, games, activities, experiments, and printables, youngsters can gain understanding about all aspects of plants. Teaching students about plants can include numerous concepts. Present lessons about plant structure and the different functions of plant parts. Explain to children that some plants are for eating, others are are for visual enjoyment, while other types of plants may even be poisonous. A lesson plan about photosynthesis can help youngsters learn about how plants receive energy from the sun, which they turn into food. Quizzes, games, and activities about botany can be effective ways to spark children's interest in plants. An interactive quiz will provide kids with immediate feedback for both correct and incorrect answers. Online puzzles enable children to construct pictures of plants. Other activities include interactive games about how plants grow and how photosynthesis works. Kids usually enjoy the opportunity to participate in craft projects. Arrange delivery of a pretty bouquet of flowers, and press them to make beautiful note cards to send to friends and family. An empty soda bottle can even become a real terrarium for growing small plants. Wander outdoors to collect green leaves, and then use them to make realistic animals on paper.